Which God is Worshipped in Badrinath? 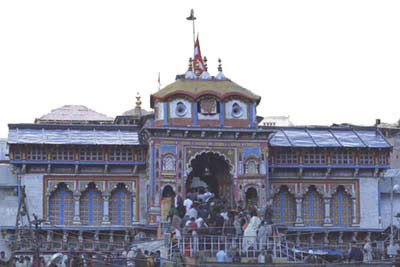 Badrinath is one of the most important temples in Hindu religion. So, which Hindu God is worshipped in Badrinath? Bhagvan Vishnu is worshipped here in meditative posture. It is believed that Vishnu chose this spot to mediate as it was covered by berry plant. ‘Badri’ means berry and thus Badrinath is Lord Vishnu. The temple is located in Uttarakhand and is part of the famous Chardham Yatra. The temple is also associated with Adi Shankaracharya. The temple remains open from April/May to October/November. Badrinath along with Kedarnath, Gangotri and Yamunotri are part of the Char Dham Yatra to the Himalayas.